This event takes place Tuesday 16th April at 7:00pm. Located at Verulamium Park . Free guided walk leaving from The New Westminster Lodge Leisure Centre, Holywell Hill AL1 2DJ. This walk is a Grade 3 (where 1 is easiest and 4 is challenging ) Refreshments won’t be available afterwards. The walk takes place at 7pm on the following Wednesdays: April 3, 10, 17, 24 . 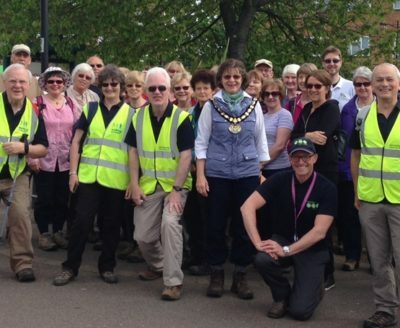 This Hertfordshire Health Walk is part of a countrywide programme of free, volunteer-led walks, which aims to help people get outdoors, get more active and reap the benefits. The walks are all sociable and you don’t need any special equipment to join in, just comfortable shoes, To register to walk either sign up online at the Countryside Management Service Website or just turn up a few minutes early for your first walk.